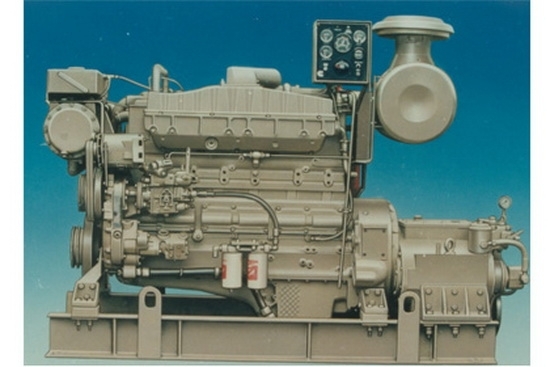 Cummins NTA855-M400 marine inboard diesel engine with CCS maine class and IMo tire2. 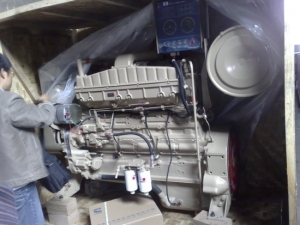 Brand new engine with full warranty from Cummins CCEC. Rating Conditions: Cummins NTA855M400 marine diesel engine Ratings are based upon ISO 8665 reference conditions; air pressure of 100 kPa [29.612 in. Hg] air temperature 25°C [77°F] and 30% relative humidity. Power is rated in accordance with IMCI procedures. Cummins NTA855M400 marine engine Fuel consumption is based on fuel of 35° API gravity at 16°C (60°F) having LHV of 42,780 kj/kg (18,390 Btu/lb) and weighing 838.9 g/liter (7.001 lb/U.S.gal). 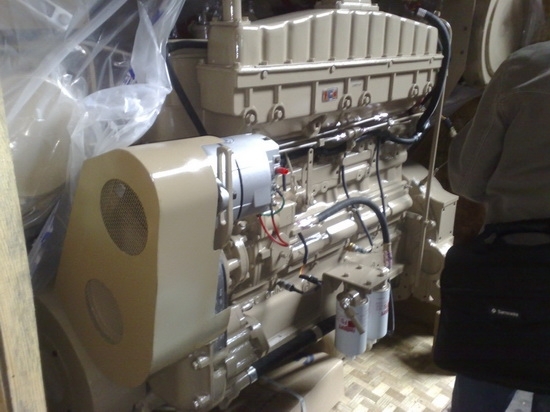 Propeller Shaft Power represents the net power available after typical reverse/reduction gear losses and is 97% of rated power. 1. 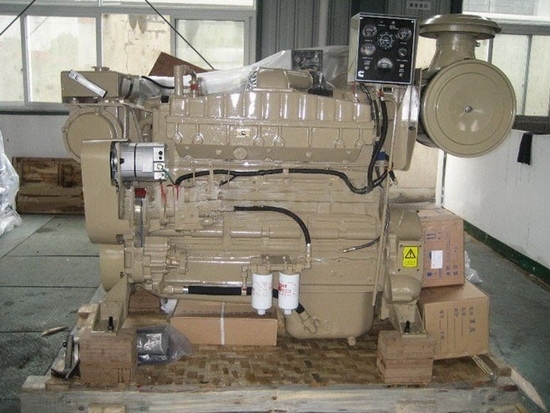 NTA855M marine engine Brake power kW / (HP) 4. NTA855M400 Fuel Consumption for Brake and Shaft power. 2. 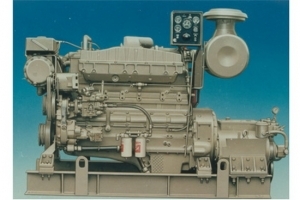 Cummins NTA855M400 Shaft power kW / (HP) with Reverse / Reduction Gear 5. Fuel Consumption for Typical Propeller. 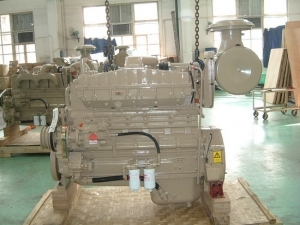 The NTA855M400 propulsion engine can match with 135 or 300 series marine gearbox, most common use for fishing boat, yachts, ferry etc.